The first slaves were brought to the island of Mauritius by the Dutch. In the 1640s, the opperhoofd (commander) of Mauritius Adriaan van der Stel brought approximately a hundred Malagasy slaves to the island. During Dutch colonization, more slaves were brought. They were badly treated by the colonists. Slaves who tried to revolt were severely punished. In the early 18th century, the Dutch abandoned Mauritius, and the island became a French colony and remained it for a century. The French brought even more slaves from Africa and Madagascar. 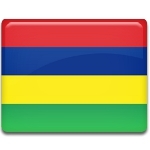 In 1810, Mauritius was captured by the British and became a crown colony of the British Empire. At the time 70% of the island's population were slaves. The British rule brought rapid economic and social changes, including the abolition of slavery on February 1, 1835. The plantation owners received 2 million pounds sterling in compensation. The abolition of slavery greatly influenced the island's population, society, and economy. This event was so important for the country's history that its anniversary has been declared as a public holiday.